DTG is a full-service timing company specializing in Track & Field, Cross Country and Road Racing. DTG has become a leading timing service provider . This event is a joint effort, in conjunction with the Bob Hayes Track Meet, to raise money to support the James (Coach) Day Scholarship Fund. 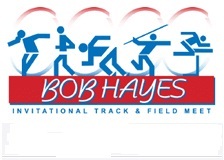 For the past four decades the Bob Hayes Invitational Track meet has been a focal point for young track and field participants from the southeastern United States. For those too young to remember, Bob Hayes was the Florida A&M sprinter that was dubbed "Bullet Bob" for his dominance of the sprints from 60 to 100 yards. Hayes, who came to the world's attention in 1964, was the first person to run 100 yards in 9.1 seconds and also held the world record for sixty yards at 5.9 seconds. He was awarded two gold medals in the 1964 Olympics. A muscular 5 feet eleven inches and 190 pounds, Hayes also excelled in football and is a member of the NFL Dallas Cowboys Ring of Honor.